Okay, I’m not joking when I say that my boyfriend’s condo is overflowing with fresh fruit. 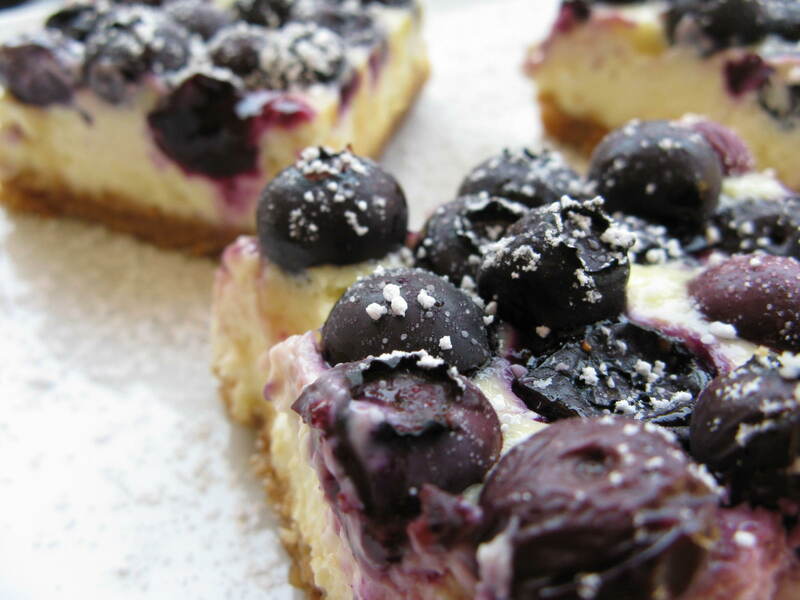 I just recently did away with the cherries, as well as 2 pints of strawberries, and now these cheesecake bars are my solution to the giant box of blueberries his parents gave us when they left for vacation last week. We still have an insane number of peaches, plums, mangoes, and apricots. Maybe I can squeeze in something with the mangoes before I leave California this weekend… In any case, my goal was to make a dessert that would use up the blueberries and only ingredients I had on hand, which included a box of cream cheese and a lemon, both things I bought in anticipation of baking and now need to get rid of before I leave. 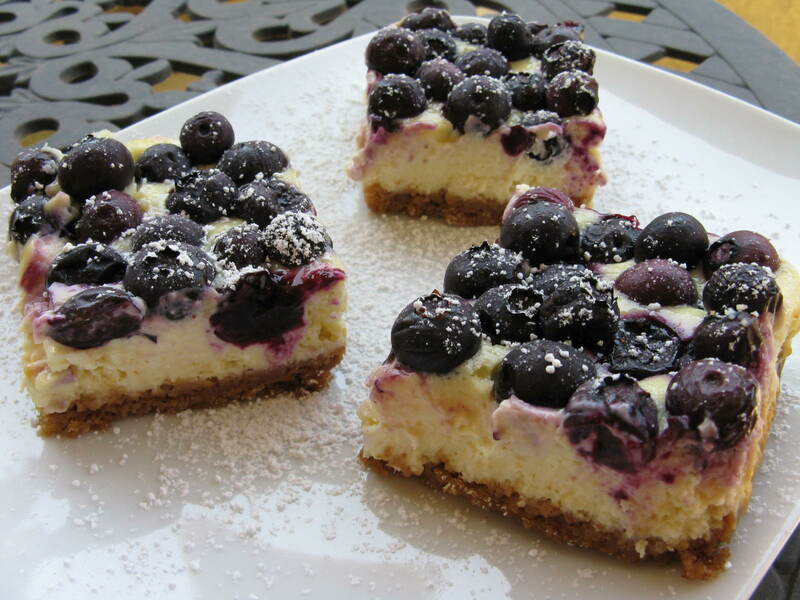 Wouldn’t you know it, Tyler Florence apparently had the same thought I did, and has generously shared with the world a recipe for lemon blueberry cheesecake bars. My lucky day! 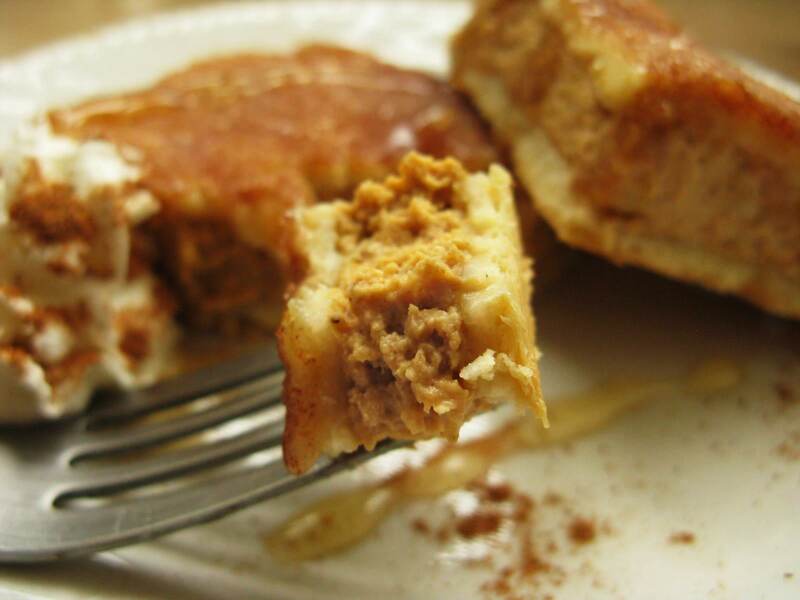 These bars are super easy to make, and has 5 stars with over 100 reviews, so a pretty sure bet if you’re baking for a BBQ or a potluck. My only qualm was that I thought the tartness of the lemon in the cheesecake was a bit much for me, but I’m not a fan of sour things in general, and I cringe whenever I have to eat fruit that is not very sweet and ripe. I don’t even really like sorbets because they’re too sour for me, shrug. 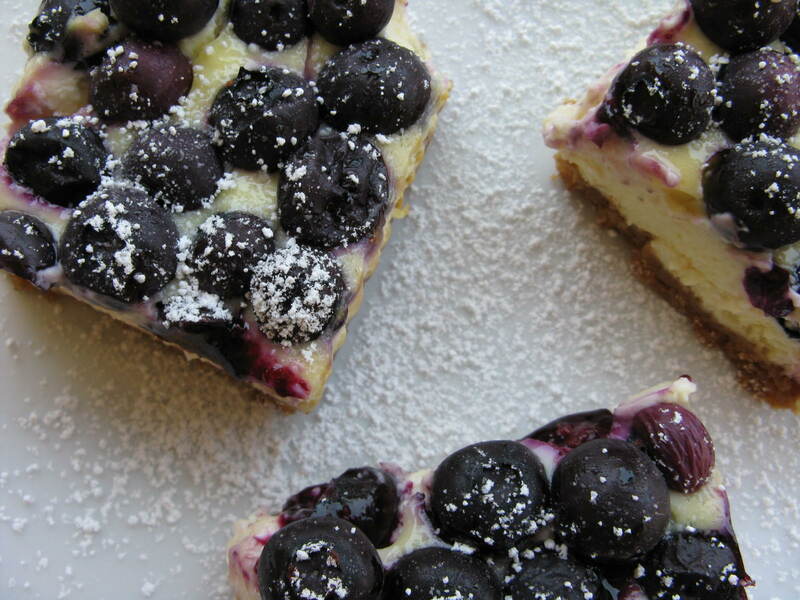 But with some good summer blueberries and a heavenly crust, these creamy bars are a wonderful treat. My boyfriend said it tastes just like cheesecake, except it took me so much less effort! I halved Tyler’s recipe because I only had 1 box of cream cheese, and it made 8 bars that were about 2×2″, which I think is the perfect size. I also made a few minor changes, including adding more butter and cinnamon to the crust, using neufchatel instead of regular cream cheese, and adding more blueberries than called for (I was trying to use them up!) It all worked out well, and the crust was sturdy and rich. Just the way I like it! 1. 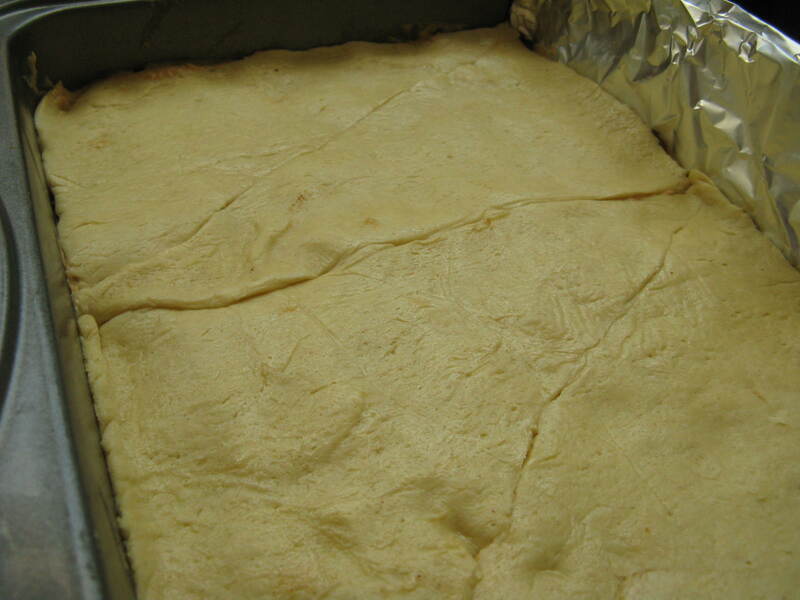 Preheat oven to 325 degrees F. Grease the bottom and sides of a 9×5″ bread pan, and line with parchment, leaving tails to allow you to pull the bars out of the pan later. 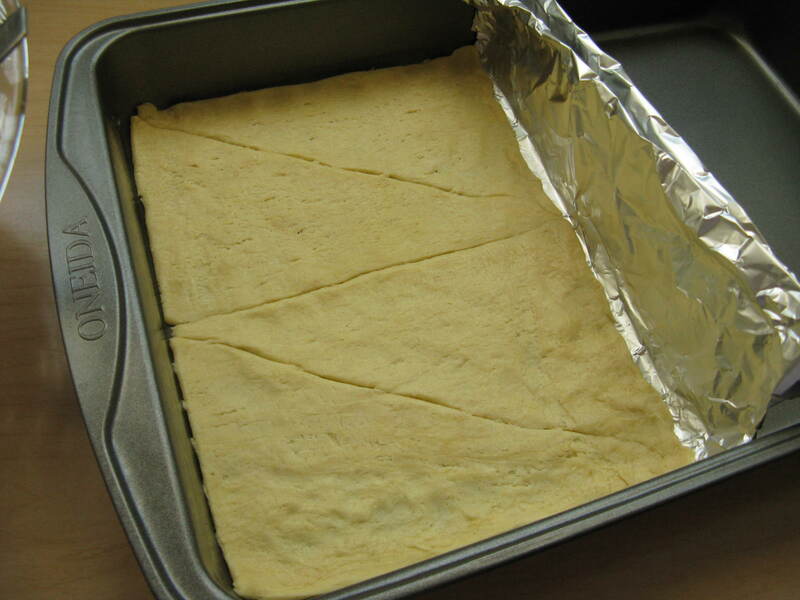 Press and fold the parchment to make neat corners in the pan. 2. 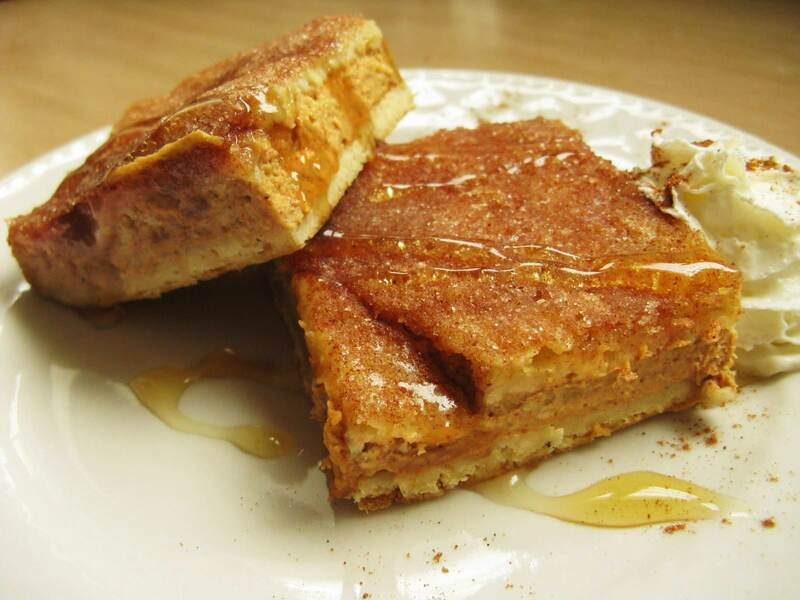 Prepare the crust first – in a blender, grind the graham crackers until you get fine crumbs. 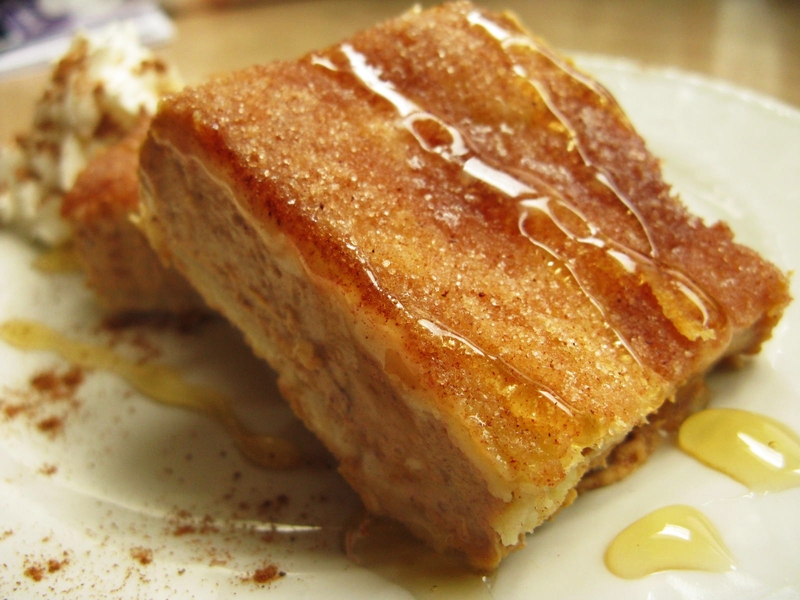 Pour out into a bowl, and stir in the 1 tbsp sugar and 1/8 tsp cinnamon. Add the melted butter and stir well to distribute evenly. 3. Pour the crumbs into the bottom of the baking pan, and press down evenly with the bottom of a flat glass (I used a shot glass because it was nice and small for getting into corners). Bake in the oven for 12 minutes until golden. Set aside to cool. 4. Meanwhile, prepare the filling. In a mixing bowl, stir together the egg, 1/2 cup sugar, lemon zest and lemon juice. 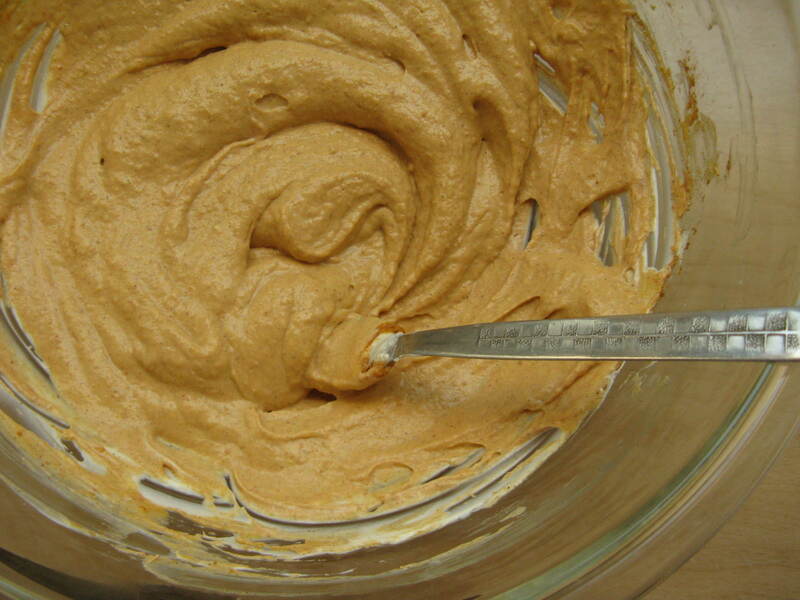 Add the room temperature cream cheese, and beat on low with an electric beater until the mixture is smooth. Pour filling into the pan on top of the crust, then sprinkle the blueberries on top. 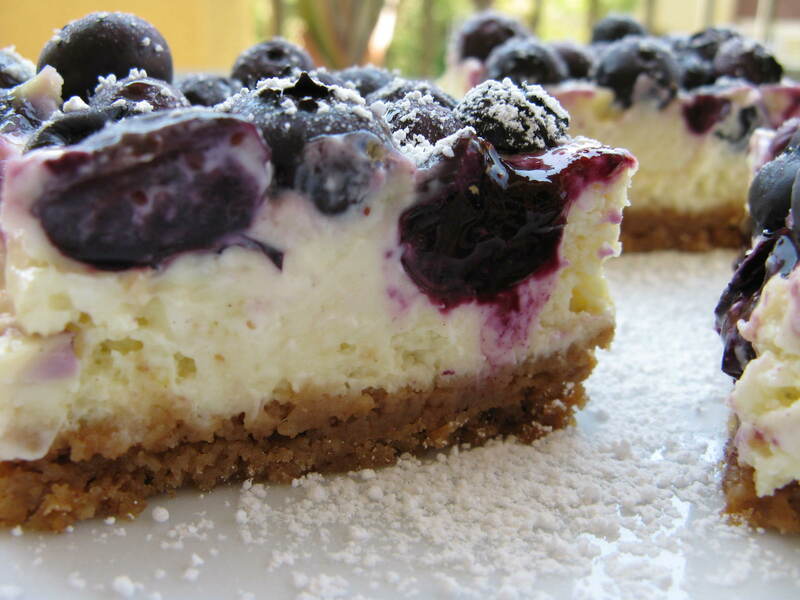 If you are using as much blueberries as I am, you will basically cover the entire top with blueberries. 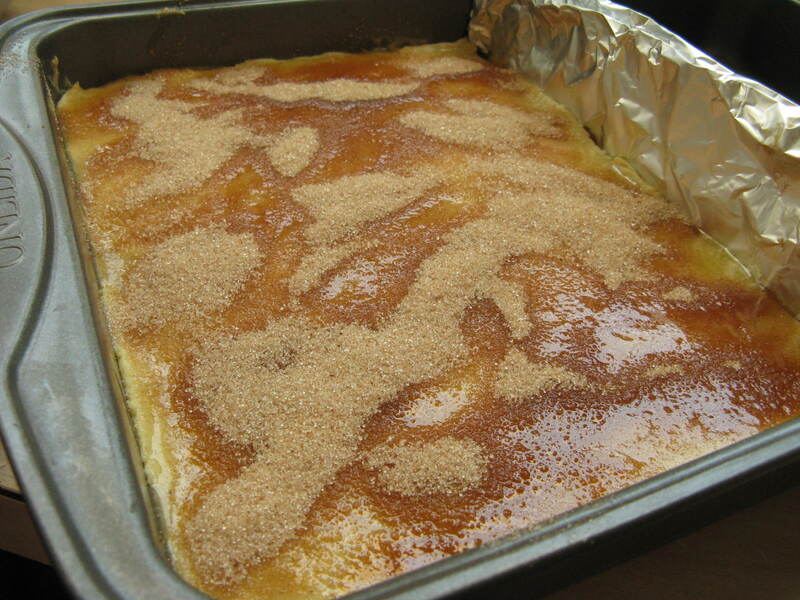 They will sink about halfway into the filling. 5. Bake for 30 minutes at 325 degrees F, or until the center only slightly jiggles (I could not tell with all the blueberries on top, so I just went with 30 minutes, which is 5 minutes less than the original recipe in a 9×9″ pan). Remove from oven and cool completely in the pan. 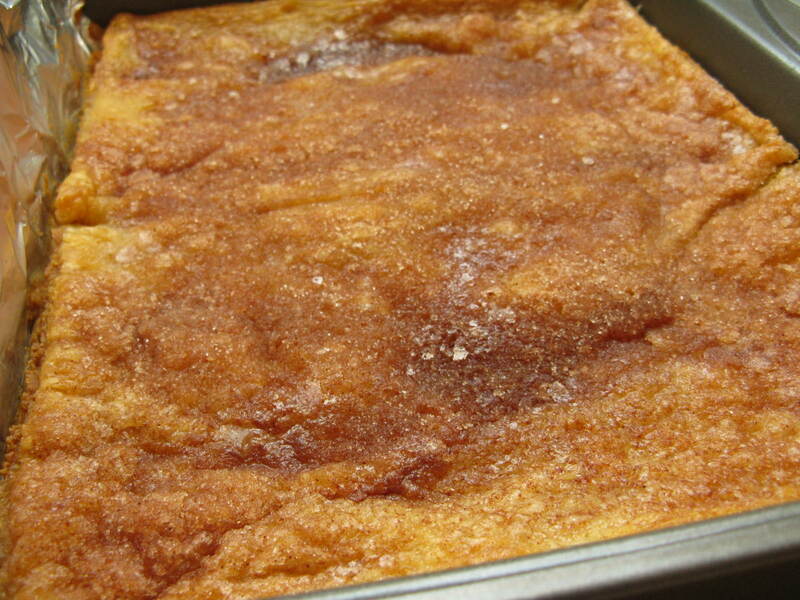 Then place pan in the refrigerator and chill for at least 3 hours or overnight to set. 6. When set, gently remove the bars from the pan by lifting the parchment lining. 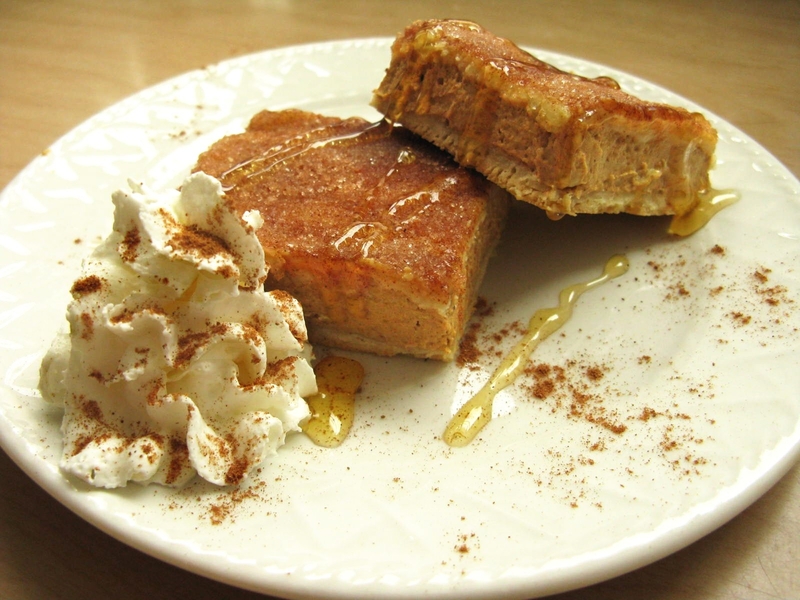 Cut into bars and dust with powdered sugar to serve.